Welcome to Ireland! Between the history, folklore, rolling green hills, and Irish hospitality, you’ll know you made the right decision to join us in June 2019. We start this adventure through Ireland in the capital of Dublin. Registration and lodging all take place on the grounds of Trinity College that day. It’s crucial you are present and ready to go by 5pm, so we can get you prepared for the journey ahead. 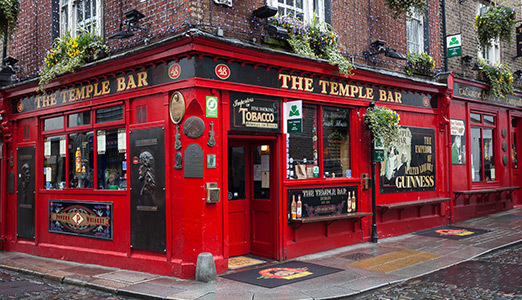 Our home for the evening is steps from ‘River Liffey’ and one of the most famous bar districts on planet Earth – TEMPLE BAR! Beware and be careful, first race day is tomorrow! And we’re off! It’s the first race in the city where it all begins – Dublin! We’ll be racing through the streets and parks of the famed city. Dublin’s Phoenix Park will be the pinnacle of today’s first jaunt. After racing, it’s onto the seaside city of Galway for a proper Irish lunch. Then, up to the waterfalls of Leehane. Our final stop for the evening is Delphi Adventure Resort, just outside of Westport. It is ours for the taking! Sit back, relax, and enjoy everything this resort has to offer. This is our home for two nights, so unpack and make yourself at home. Dinner is served after settling in and enjoying the grounds. 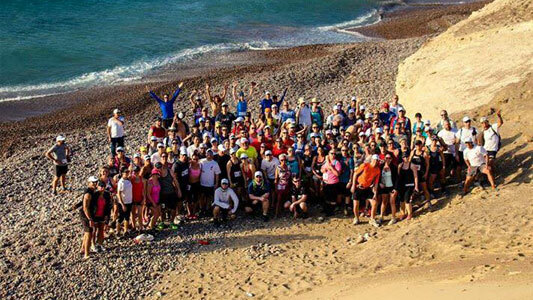 The outdoor playground known as Delphi Resort will have us getting a little bit muddy on this run, so be prepared! Have no fear as a shower awaits you post-run. This afternoon, it’s time to take advantage of all that Delphi has to offer. You can choose one complimentary activity such as the ropes course, kayaking, paddle boarding, archery, or biking. Not feeling too adventurous? Know that a round of golf or spa appointment are available for an additional charge. Our second dinner will be served at the Delphi. 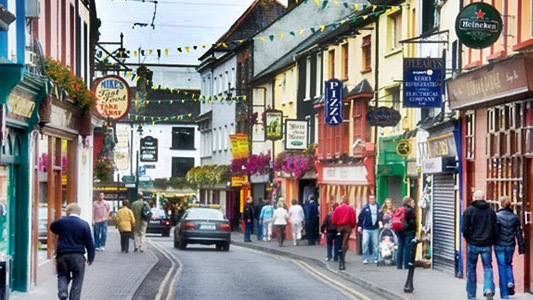 Then it’s time for a good old-fashioned pub crawl through the streets of Westport! Westport has received notoriety for its tree lined streets, stone bridges, and vibrant night life. This is a pretty good night to indulge. 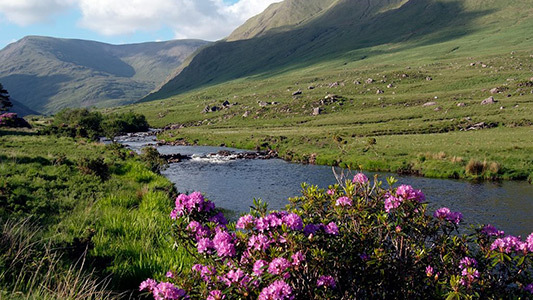 It’s time to move on and explore more of Ireland. 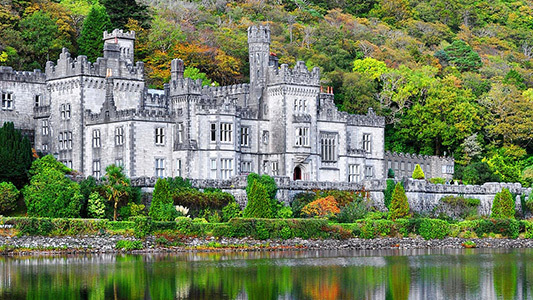 A morning race ensues further south, earning you entrance into Kylemore Abbey. There aren’t too many structures that are still standing and can match this gorgeous estate. Mitchell Henry poured his life’s energy into creating a place that would showcase what could be achieved in the remote wilds of Connemara. These grounds also showcase the country’s largest walled garden (Victoria Walled Gardens). We’ll have some tea and be off. This evening we have reserved an entire castle for a full evening of food and entertainment. Bunratty Castle awaits! We’ll find a home in Ennis at a nice hotel, after a jam-packed day. 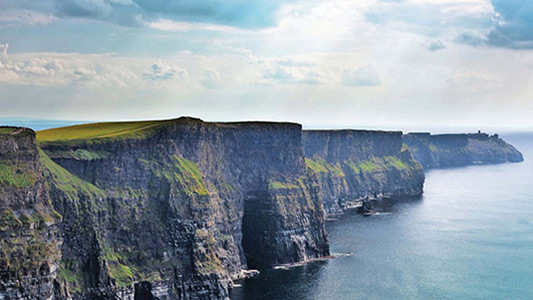 You’ve most likely seen photos of the Cliffs of Moher, that hug the West Coast of Ireland. But have you ever seen a group of 100+ running them? Well…we’re going to make that happen. Don’t get too close to the edge, but be sure to take it all in just the same. The cliffs are an absolute marvel, and a great way to start the day. As we head further south, our next stop just has to be the famous tiny town of Dingle, we’re we’ll have lunch. Wish we could stay there but fairly certain there aren’t enough beds for a crew of this size! 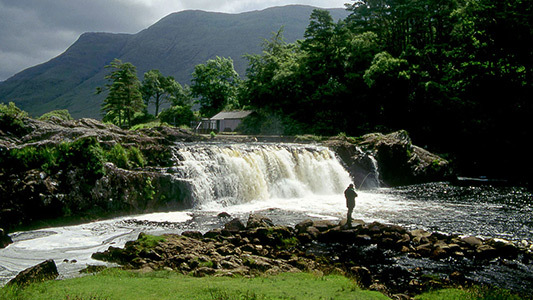 Time to head down to the Ring of Kerry, and city of Killarney for the night. Good morning! The good news is we are staying put in Killarney for one more evening and using it as the perfect home base in the heart of the Ring of Kerry. Even better, it is time to have a look around. Our first stop is a village by the name of “Sneem”. Translated, Sneem means “The Knot”. Its placement inside the Ring of Kerry, and its intersecting neighborhoods, all play a part in the name. The rest of our day will be consumed by the must-do tour of the Ring of Kerry. The views will be breathtaking. We’ll get some history along the way too. After our tour, we will enjoy all Killarney has to offer for one more evening. We’re headed from the west to the east, and beginning our pilgrimage back to where it all started. Our home for the night is the gorgeous town of Glendalough, nestled amongst the Wicklow Mountains. We’ll stop midway for a great trail run and break up the drive and scenery with some Irish stew outside the city of Cork. Glendalough is our home tonight. It offers stone ruins, a lower and upper lake, monuments, and is a nice and cozy town to relax. We recommend getting some rest this evening. We’re going to bring this week home with one of the biggest bangs ever tomorrow! 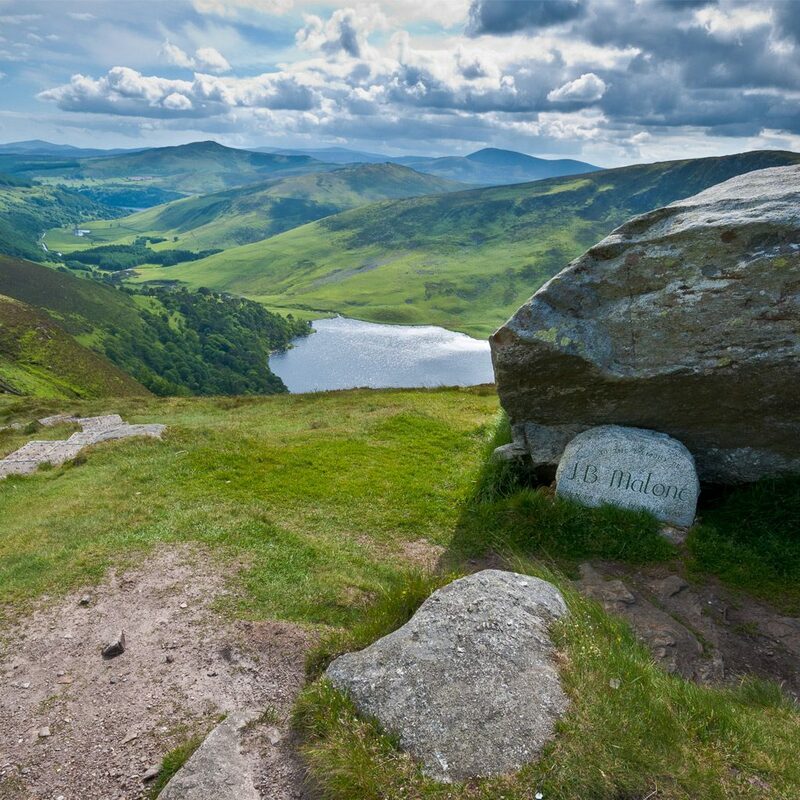 Wake up to some of the most spectacular views all of Ireland has to offer – The Wicklow Mountains. Lakes, peaks, green mountains as far as the eye can see, and the famed www.powerscourt.com are all here. Powers Court was voted the 3rd most beautiful garden on planet Earth. You’ll soon see why. Back to where it all started. Our resting place for the week – Dublin! You will be congregating with old and new friends back at Trinity College campus. In years past, our final parties have been everywhere from remote beaches of Panama and Ecuador, to the gateway of Machu Picchu, to the lakes of Chile, to Ibiza in Spain. 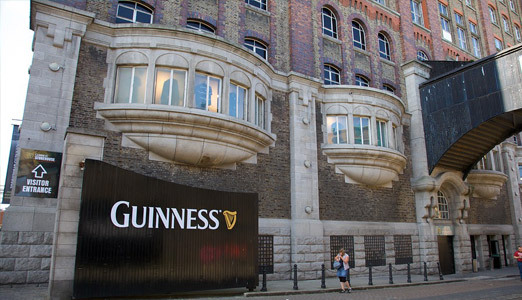 There’s really only one way to top all of that – we have rented out the single-largest event space at the Guinness Brewery! After a tour of the Guinness brewing facility, we’ll catch a view of Dublin’s brightly-lit city from the Guinness Tower Bar. Then it’s into our private space to celebrate one of the best weeks we’ve ever had. Not just here at Race2Adventure. In our lifetime!